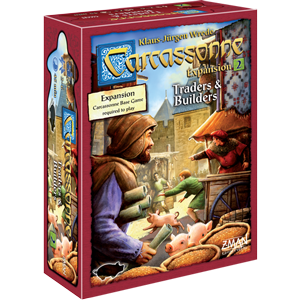 Build imposing structures that touch the sky in this Carcassonne expansion. In The Tower, the focus is on building up, not out. 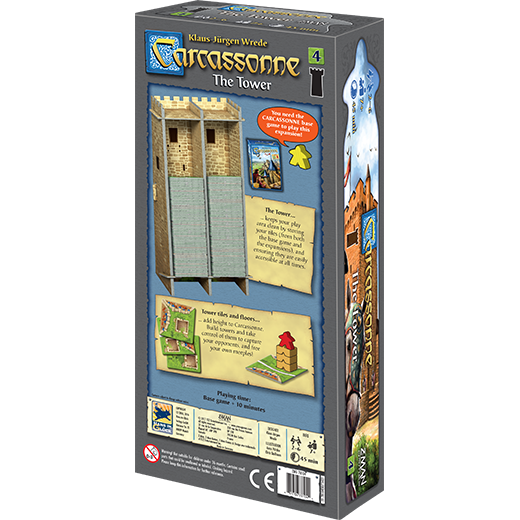 This expansion for the classic Carcassonne tile-laying game adds eighteen Land tiles, plus thirty tower floors that you can use to construct towers to spot your opponents’ followers. 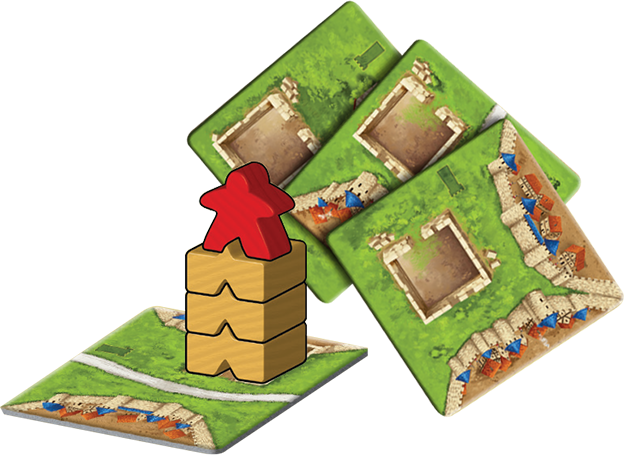 Gain new actions as your towers grow taller or deny your opponents these actions by placing a follower on top of a tower to finish it. 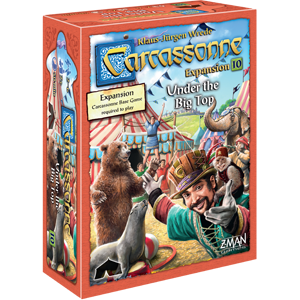 If your tower grows tall enough, disrupt other players’ plans by capturing their followers and holding them for ransom! 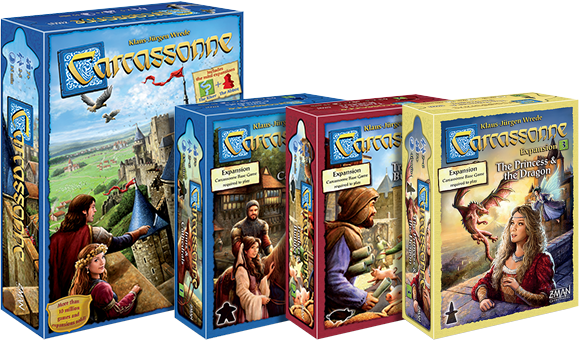 The Tower gives players a direct, strategic method of interacting with other players. 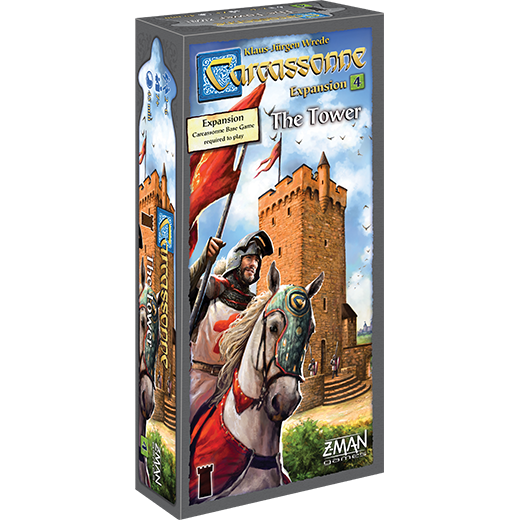 When placing a tile depicting a foundation, the player can place a tower floor on that tile or on any open tower on the board. 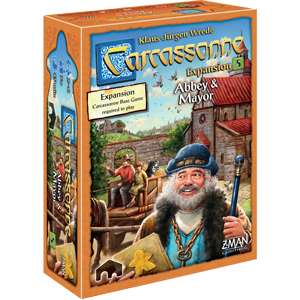 The player can then capture any other player's follower on the board that is visible from the tower. Captured followers are only returned by paying three victory points or “exchanging” prisoners with someone holding one of your followers. 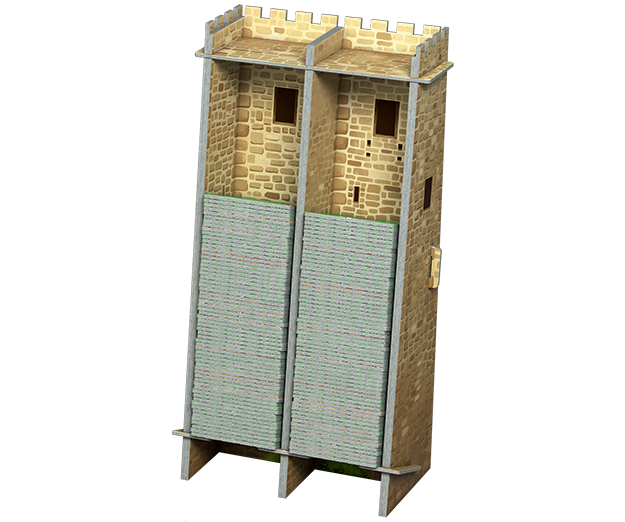 The Tower also makes it easier to keep your play area in order. 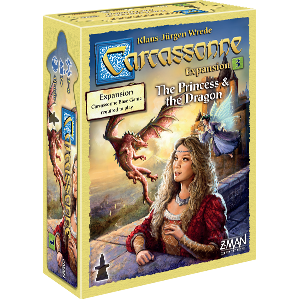 The Tile Tower accessory organizes your tiles from the base game and expansions, making everything easy to access as you play.